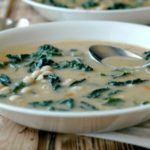 Spring Instant Pot White Bean Soup :: Stovetop Directions Included! 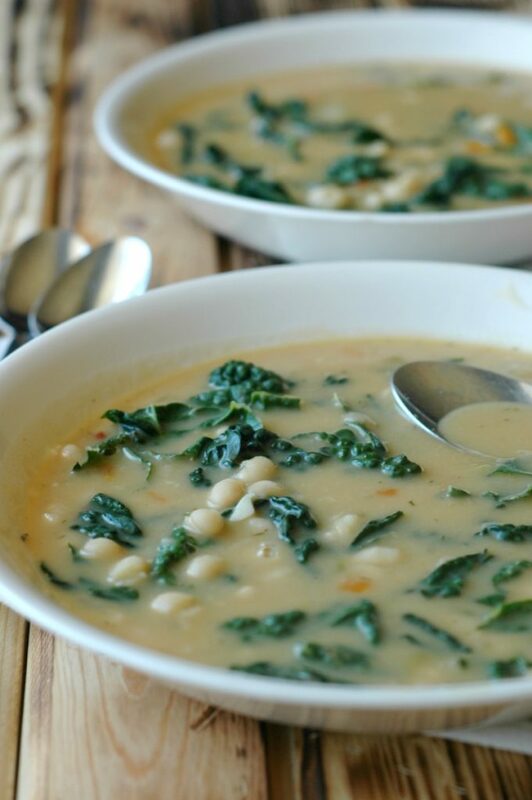 Light and refreshing spring flavors, creamy and comforting without being heavy, this Instant Pot White Bean Soup is your answer to cool spring days! 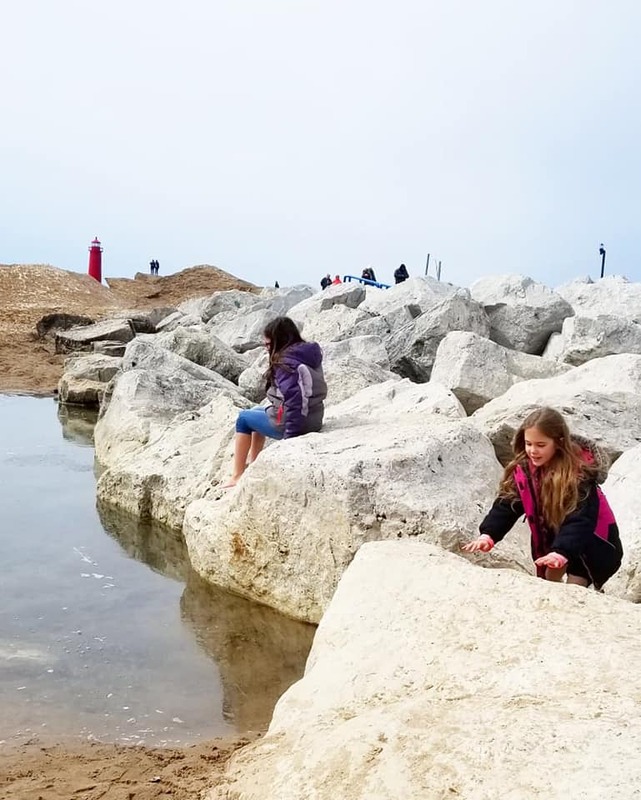 We had our feet in Lake Michigan this weekend! 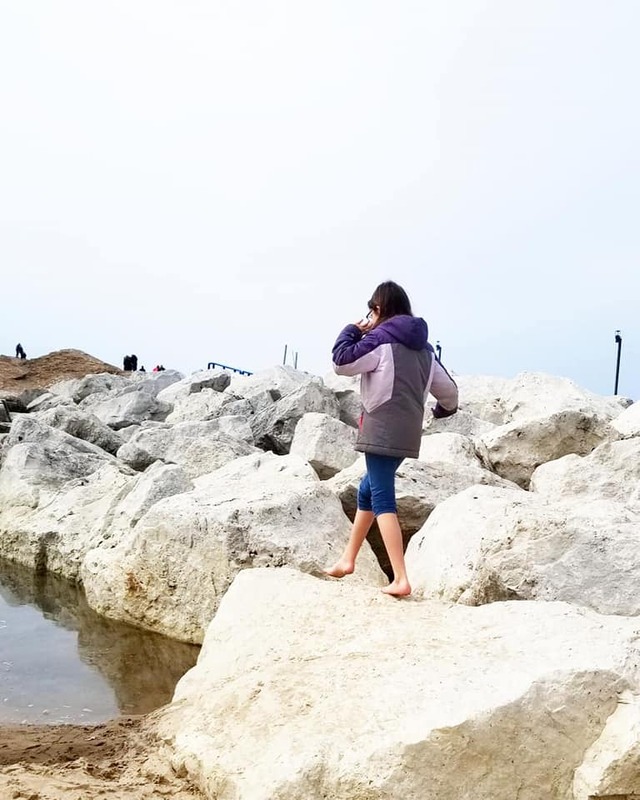 Well, let me rephrase that…my Michigan born and bred kids had their feet in the “just starting to thaw” Lake Michigan waters that were registering in at an invigorating 32 degrees Fahrenheit 🙂 I enjoyed my thermos of coffee from ashore in my winter boots! They are like a moth to a flame to this beach, and I love watching them enjoy it in every season! Spring has a way of really messing with us here along the lakeshore. We see that sun finally peeking out, and most Michiganders trade snow boots for beach flip flops at a mere 40 degrees. 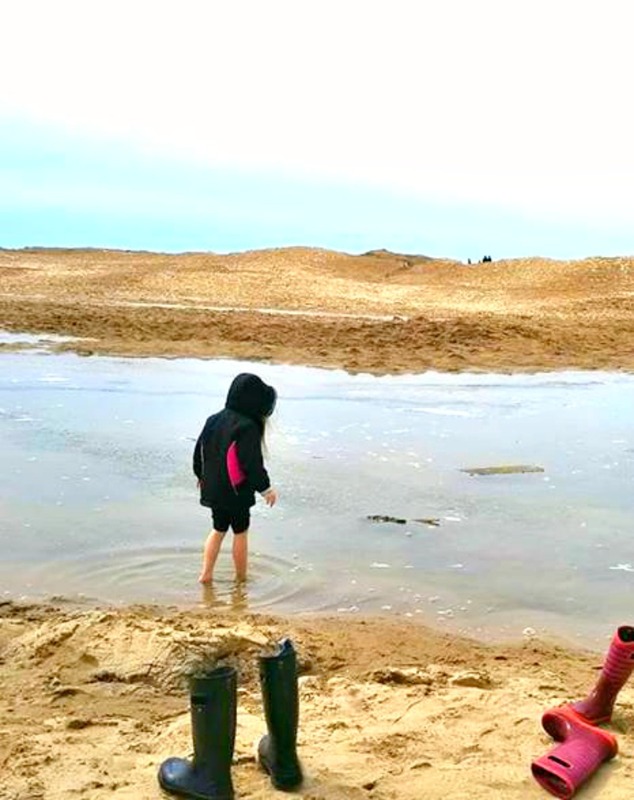 The girls saw the slightest bit of water thawed at the lake, and their boots and socks were off faster than I could say “barley thawed.” The sun is deceiving with chilly air still hanging around, so warm meals with spring freshness has become a bit of an expertise of mine. Despite the cool air, our body clocks definitely still shift in the spring. So the key for me has been to invite those fresh spring flavors into light spring soups. We enjoy spring Nettles and garlic in this roasted asparagus and garlic stinging nettle soup. 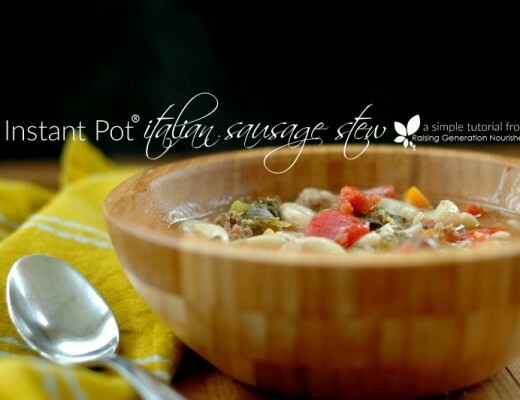 We make fresh skillets of spring veggies, and this spring I’ve been using my Instant Pot a bit more since, well…life, right?! I created this Instant Pot leek asparagus soup with fresh lemon that we have been literally guzzling by the mug full weekly – it is so addicting! And this week, we enjoyed this lighter version of bean soup. Ummm yes, because, at least where I live, March is notorious for spring colds, the last of the flu viruses, and various other bugs that kids like to pick up. Packing nourishing, healing bone broth based soups in our lunchboxes for school, or soup bowls for dinner is vital at this time of year. If you have never made bone broth before, please check out how easy it is to make with these recipes either in your Instant Pot OR slow cooker! Creamy and comforting bean soup without the heaviness…just in time for spring! 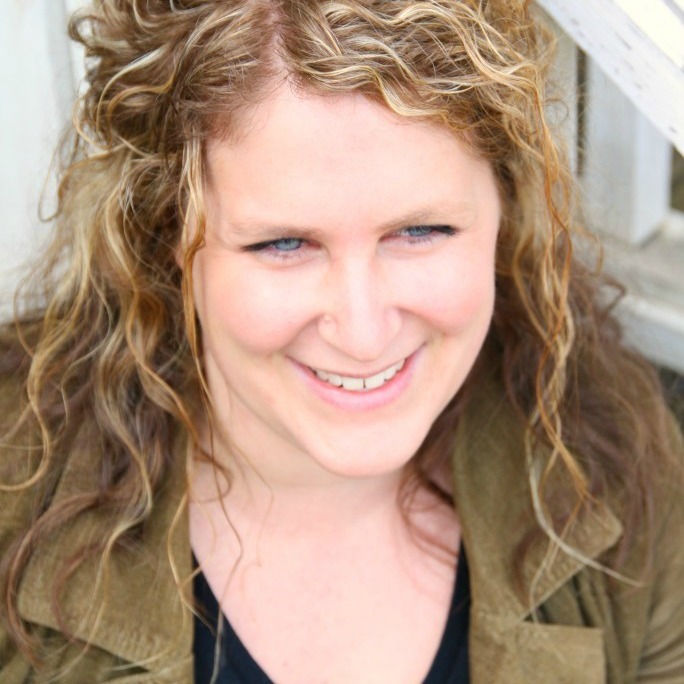 Because I really do feel the shift from winter to spring – while we crave those heavier comfort foods during the cold winter months, our bodies shift in the spring to the desire of refreshing spring food. This brothy soup is light and airy, with a bit of creaminess to the broth for comforting and amazing texture. Kids tend to like soups with a creamier feel, and this one will not disappoint. The spring dill and bright lemon juice finish at the end is fantastic. Because I’m hearing from more of you on my last IP post that stovetop is still your main cooking jam, and I *big puffy heart* love that! You are my people! I love my stovetop cooking, and while my Instant Pot has made it’s way to a permanent spot on the counter, if I have the time, I will choose the stovetop every time. Please see the Stovetop directions below to adapt this recipe to how you cook! A pinch to 1/4 or more tsp of red pepper flakes depending on your heat preference this amount leaves the soup with a very mild kid friendly heat. Put the 2 cups of dry navy beans and sea salt in a medium bowl with warm water to cover by 2-3 inches. Let the beans soak for 8-10 hours, then rinse and strain and set them aside until they are ready to add to the IP. Turn the Instant Pot on to “Saute,” add the butter to melt, and then add the onion, carrot, and celery with a pinch of sea salt. Saute for 5-7 minutes until fragrant and soft. Pour the drained beans and bone broth into the IP, stir to combine, put the IP lid on, and turn the valve to closed. Turn the Instant Pot on to “Soup,” and leave the time at 30 minutes. The Instant Pot will automatically turn on, and will take about 10ish minutes to come to pressure (depending on how cold your broth is) before counting down the 30 minutes. When the time beeps that the 30 minutes is done, turn the Instant Pot “Off,” and leave the valve closed and lid on to naturally let the pressure release. This gives the beans time to finish cooking and locks flavor in. After about 15 minutes, you can open the lid. Ladle out about half the soup, puree it in a blender or with a hand-held immersion blender, and return the pureed soup to the pot. Add the lemon juice and kale to the soup and stir. 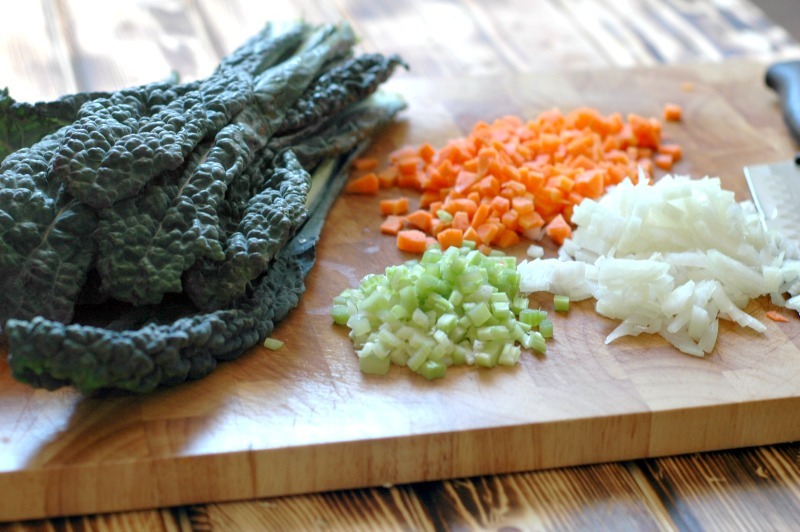 The heat from the soup will wilt the kale, and you can season your soup with salt and pepper to your taste. Put the 2 cups of dry navy beans and sea salt in a medium bowl with warm water to cover by 2-3 inches. Let the beans soak for 8-10 hours, then rinse and strain and set them aside until they are ready to add to the soup. 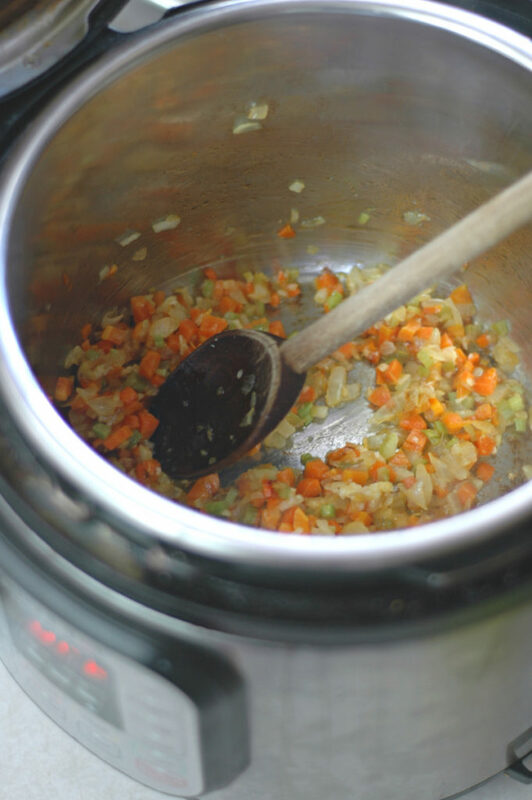 Warm a soup pot over medium heat, add the butter to melt, and then add the onion, carrot, and celery with a pinch of sea salt. Saute for 5-7 minutes until fragrant and soft. Add the garlic, paprika, dill, and red pepper flakes, stir and saute for 1 minute. Pour the drained beans and bone broth into the soup pot, stir to combine, and bring to a simmer over medium-high heat. Simmer until the beans are cooked and tender. This will take 45 minutes to an hour. Stir occasionally and check the beans for done-ness. This looks really good. I’m going to try it this week! After 3 years, my IP broke … a phone call and email to the company, and they replaced it with a brand new one! 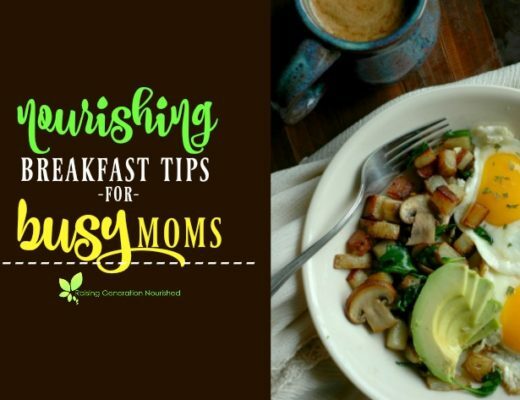 Just another reason why I love my Instant Pot and am ready for new recipes like this one to try. Thanks for sharing!! Mmm can’t wait to try this soup! I make similar with mixed dried beans and dandelion! 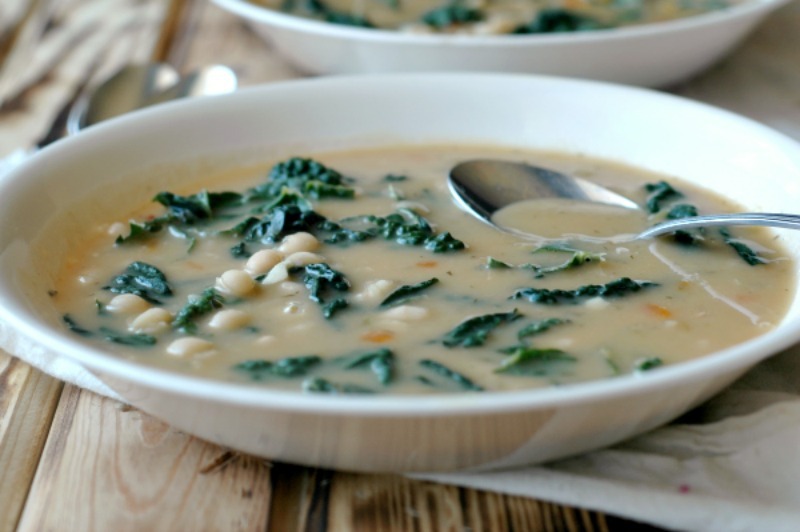 Don’t you just love bean soups with greens? 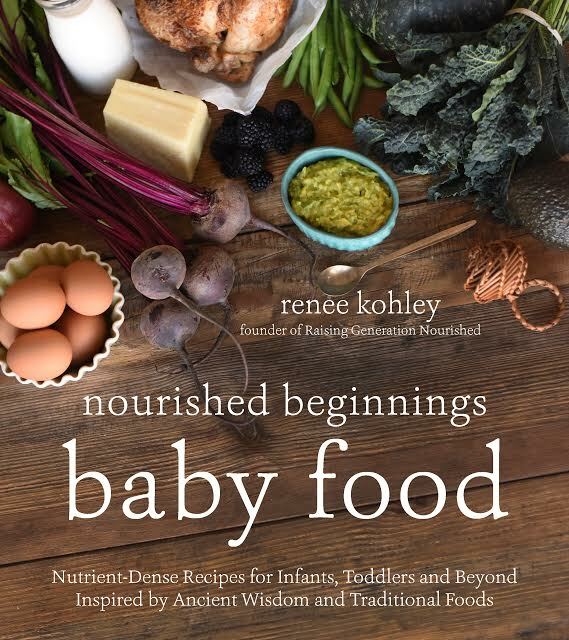 Will pin this one and get to the grocery for some of that deep dark nutritious kale!! Thanks! I can’t wait to try this! I love a hearty, nourishing soup that I can make in my IP. That is my favorite kind of kale too. I am definitely not over soups and stews yet, even though some days are sunny and warm. Looking forward to making this for a meat-free Monday when we sometimes eat legumes. I loved all the flavors, and so hearty! Served with some crusty gf sourdough! 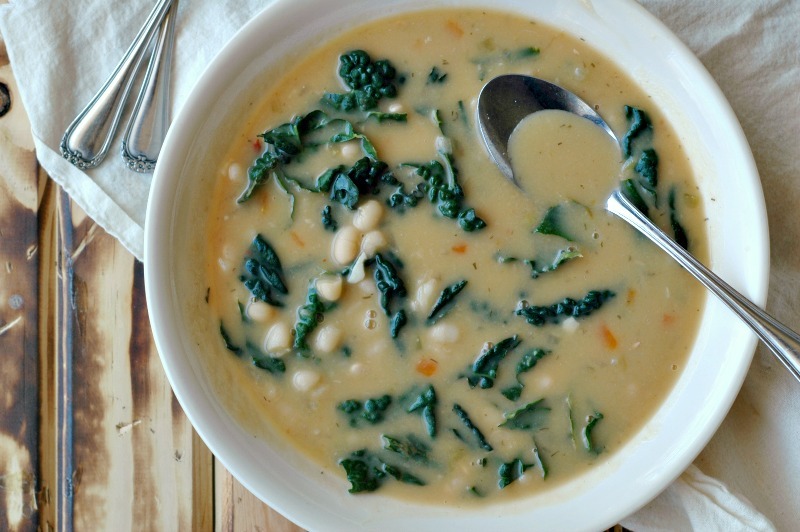 I was looking for a recipe to use up my kale and this soup saved the day! Was so filling and comforting! I love the paprika, dill, red pepper and lemon you’ve used! Such a sweet idea to bring spring to our bodies gently. What a lovely soup and concept, the zesty yet deep flavors as the sun begins to reawaken and warm us too! 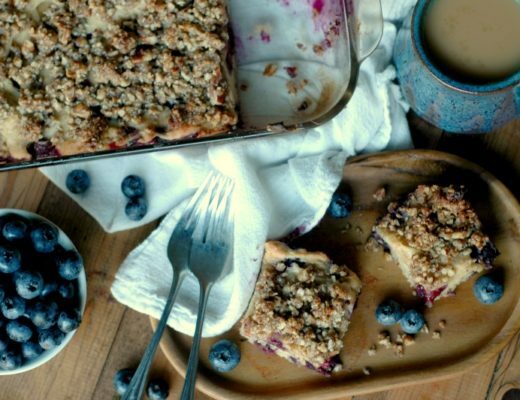 This sounds deliciously healthy and easy! My family LOVES kale in soup! Well, they love it not in soup, too… haha. I’m definitely trying this out on them the next time I have white beans soaking. 🙂 Thanks! I love lemon in soups, and the sweet paprika and dill gave it such a great flavour! I could eat this any time of year as it wasn’t too heavy – just right! Maybe it’s that our weather is so similar, but I was seriously *just* thinking it was time for a white bean soup. Love this recipe, and that your kids put their feet in the lake in March! 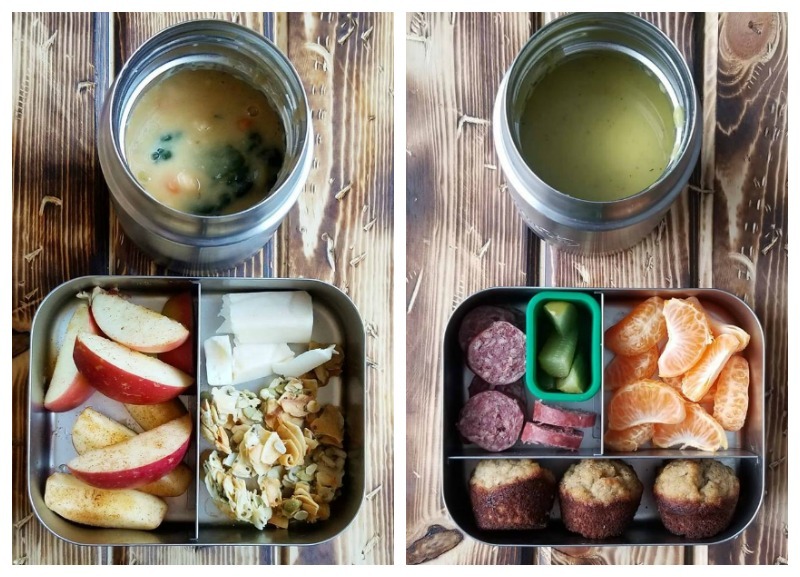 Those lunch boxes look great and this soup is the definition of nourishing! I love this recipe. So easy to make and hearty delicious! I can have this every day! 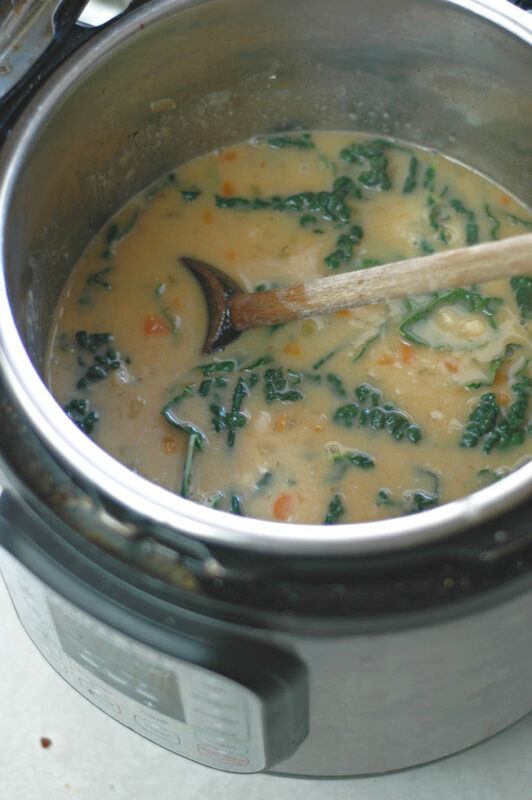 This soup looks delicious – we are always throwing kale into soups or salads! 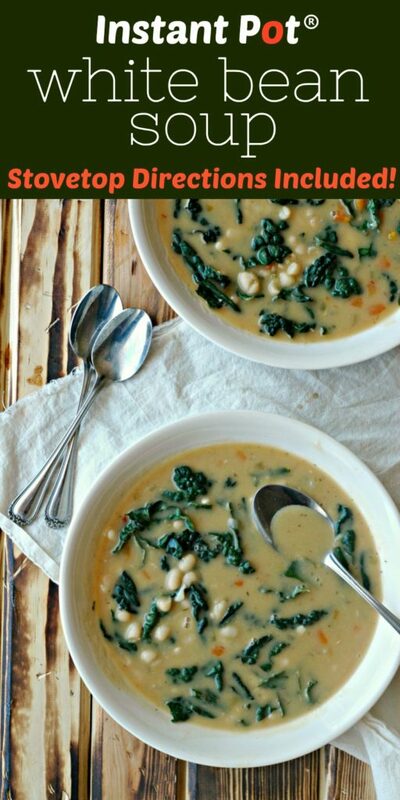 This soup is just perfect to warm you up on a chilly day! It looks delicious. If I don’t use lemon, is it test well?I wanna make this soup soon. This looks SO good!! I made one last week with a bean mixture and Swiss chard..
Not the same but we are on the ‘same wavelength’. Definitely still COOL here in Toronto. This one looks like the perfect warm up !! !